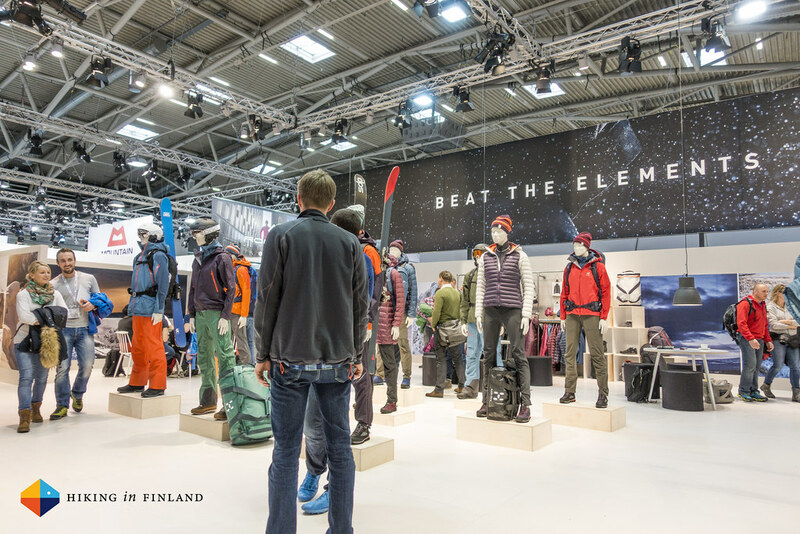 First batch of Gear News from the 2016 Edition of the ISPO. Disclaimer: I paid everything myself to visit the ISPO, so actually there’s nothing to disclose here. Except, possibly maybe, that one beer I drunk at Houdini. 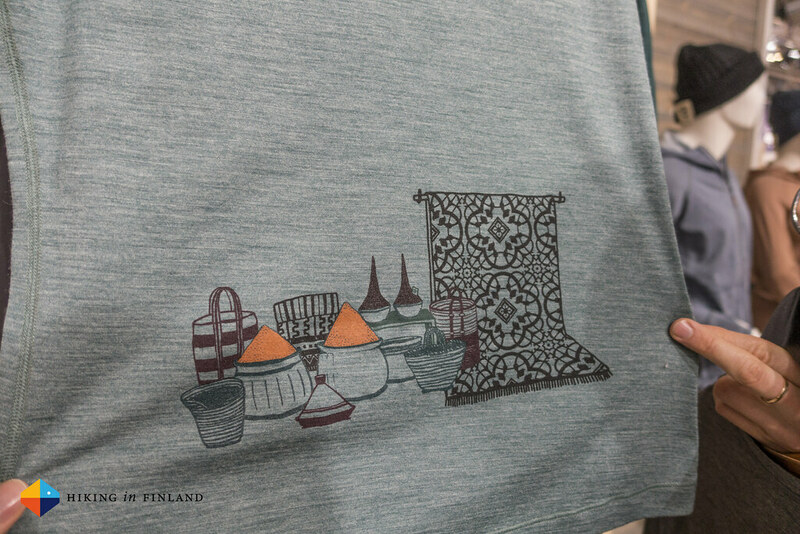 Jan dreamed up a great Range for 2017, and this time Röjk goes Oriental. 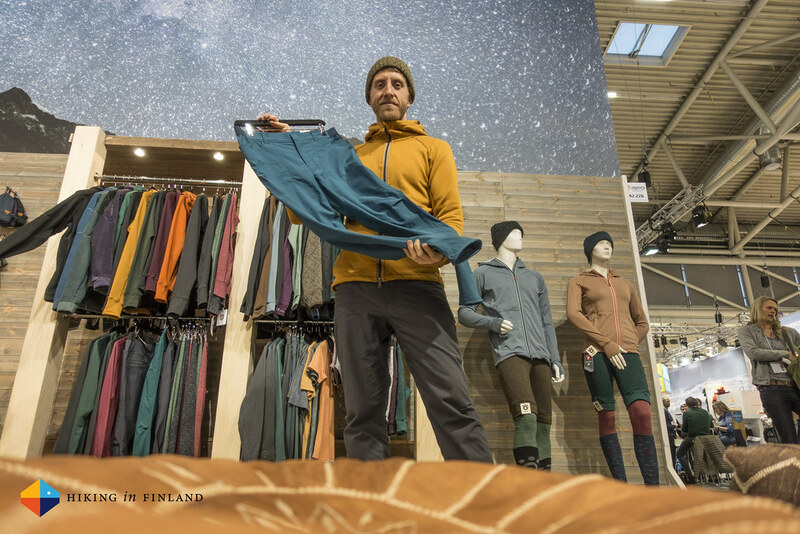 Linus was wearing the new garments already and they looked mighty fine, with smart details, comfortable & functional materials, pretty colours and cool designs. 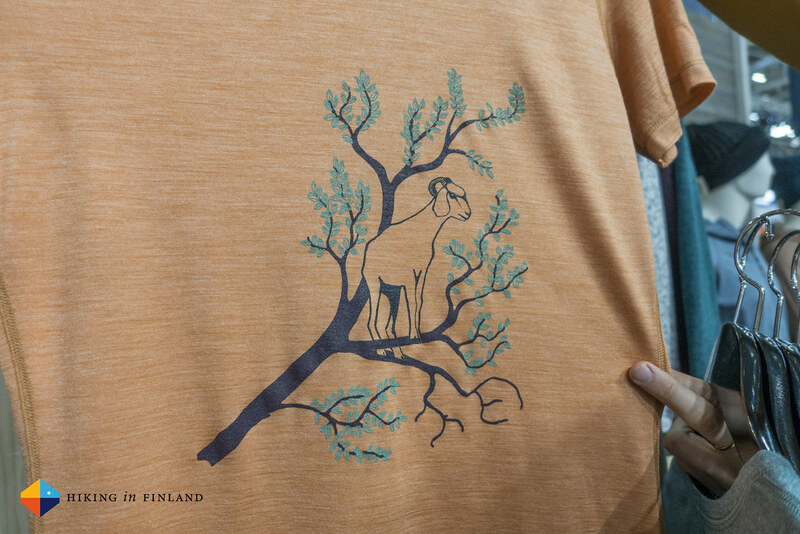 The T-Shirts for Gals & Guys are made from 60% Merino and 40% Modal and will set you back 75€ once they hit the stores. That’s pretty pricey, but just remember Rule 1: Always look cool™. The highlight for me in the new range was the Atlas pants. They not just look great, but what really was amazing that the complete pants - from fabric over buttons to sewing - is made within a 45 km radius of Stockholm, Sweden. That’s pretty rad, especially considering the pants is a reasonable 135€. Well, the pants also look good, obviously, have a high stretch and are made from a bluesign-certified, environmental fabric. And that yellow hoody Linus is wearing underneath - that’s the Cordura Zippenhood, which is pretty durable and looks good, too. The Micropile Jacket is 40% lighter than the Primaloft Bomber Pile and has 45% Primaloft Polyester in it. At 160€ it’s cheaper than its aforementioned big brother, and goes for a more casual look that works well for hiking & trekking as well on a cold day in the office. Finally, the Mounter Hoody. 15% Merino wool, 8% Elastane for stretchiness and the rest is Polyester which makes for a nice looking midlayer. 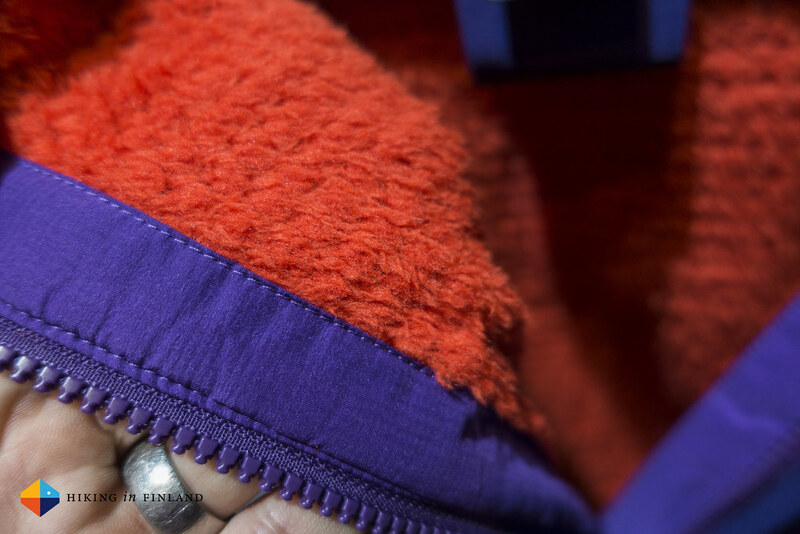 The texture of the hoody is a bit like jersey fabric, which is interesting and something fresh. 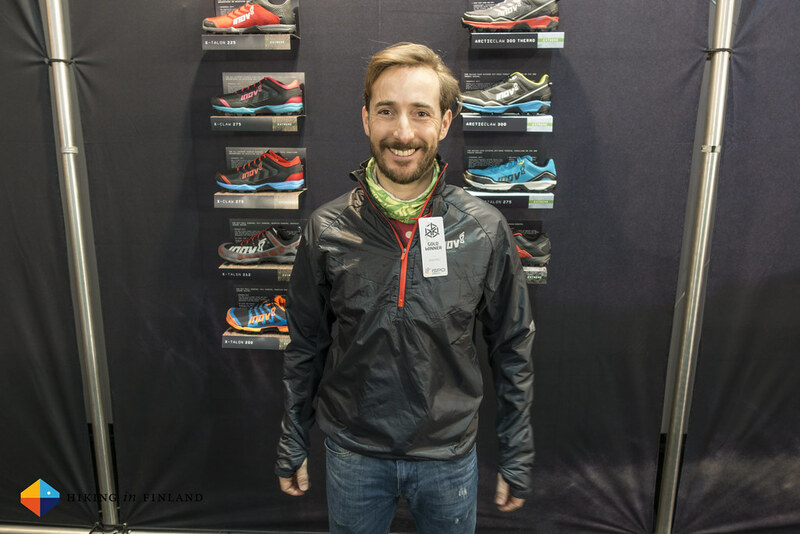 What happens if you have a free half an hour on the ISPO, Hendrik? 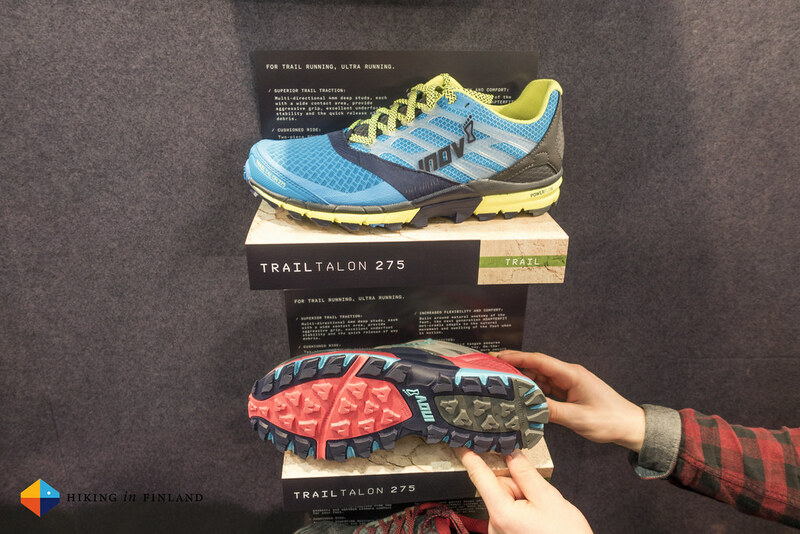 Well, dear reader, there were very few free half hours on the ISPO but in one of those I was navigating the hallways of always and stumbled upon inov-8. As it was early on Sunday morning the booth wasn’t full yet so I was able to grab Matt, the Designer and a Marketing person and go through the new kit that will be coming in the near future. 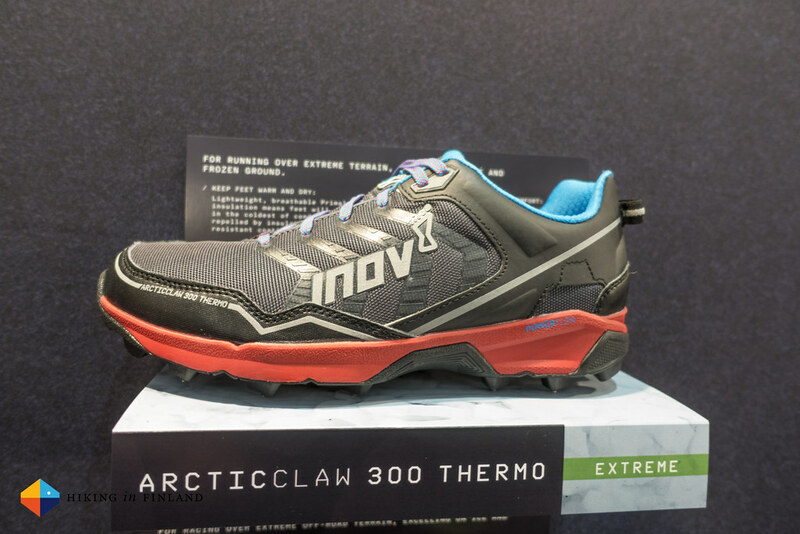 I even met an old acquaintance at the booth: The inov-8 Roclite 286 GTX, which will return just as it was. Woohoo! But these fairs are not about meeting old friends, but the new kids on the block. The AT/C Thermoshell HZ is one of these, and at 223 g in Mens’ M with a 40 g/ m2 Polartec Alpha insulation it’s probably one of the lightest breathable insulation jackets on the market. 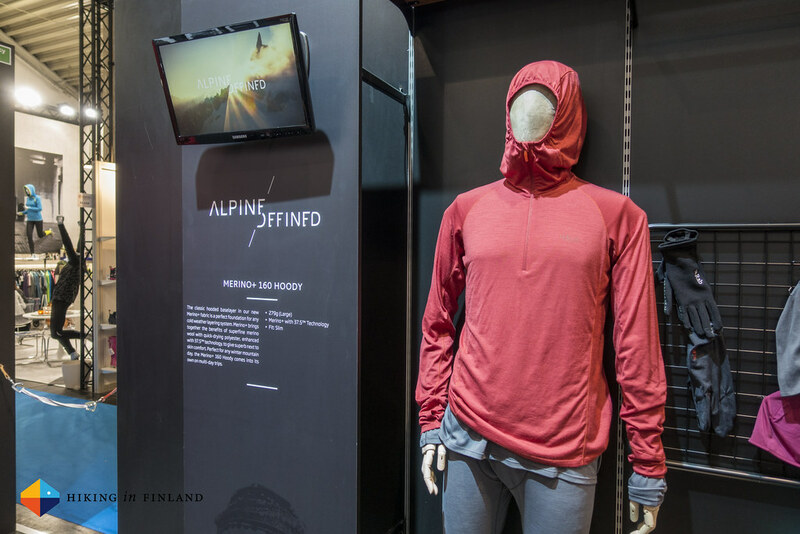 It packs into its own pocket, has a deep zipper for venting and the Pertex Quantum shell keeps a cold breeze & drizzle at bay while you’re running up the foggy fjells. And because you might need a wee pack to put the AT/C Thermoshell HZ into when you’re up on the sunny summit, you might want to carry the RaceUltra Boa pack. 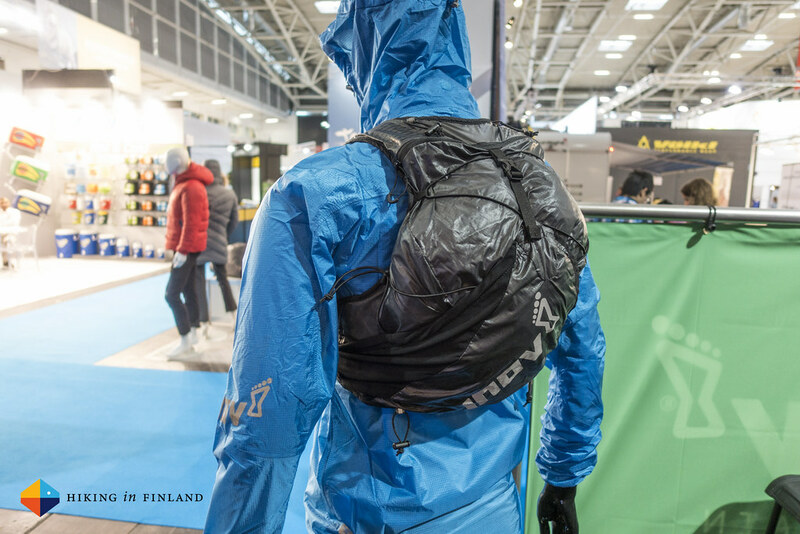 This pack has an included Hydrapak reservoir which sits on your hips so the weight is lower, and you can adjust the fit via a Boa closure system. I quizzed Matt, the designer, about the durability of the Boa System and he had no issues during testing with it, so I’m looking forward to hear how other users will find this in use. Anyway. The Boa System lets you compress the reservoir and pack to your pack so it’s not bouncing around while you bomb down the trail. The 10 l main compartment packs all the gear you will need to carry on an Ultra, a large outside mesh pocket that can be accessed from the sides, loops for poles and small pockets in the front allow you to carry all you need. A soft cup and an emergency blanket are included in the pack, so it’s ready for races like the UTMB where these items are required. Have you heard about this season where white stuff is on the ground? That’s the season the ArcticClaw 300 Thermo and ArcticClaw 300 were made for. These replace the good old OROC and have more carbide spikes for even more grip, which are also re-arranged to give more grip (= spikes) under the fore-foot. The difference between these two shoes is that the Thermo has an additional Primaloft lining, so you can keep on running and hiking in very cold weather without your toes complaining! A Standard fit makes them great choices for those with wide feet, while the ArcticTalon 275 has a Performance Fit which is better for races. Also new is the X-Talon 225. 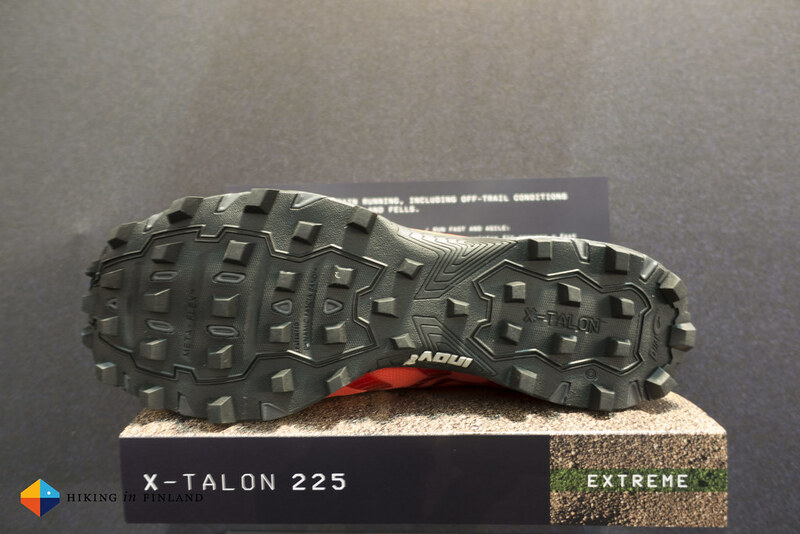 I’m a huge X-Talon 212 Fan, and the 225 has less cushioning than the 212 and is more durable, so should be a shoe which probably will be very popular with many ultralight backpackers. 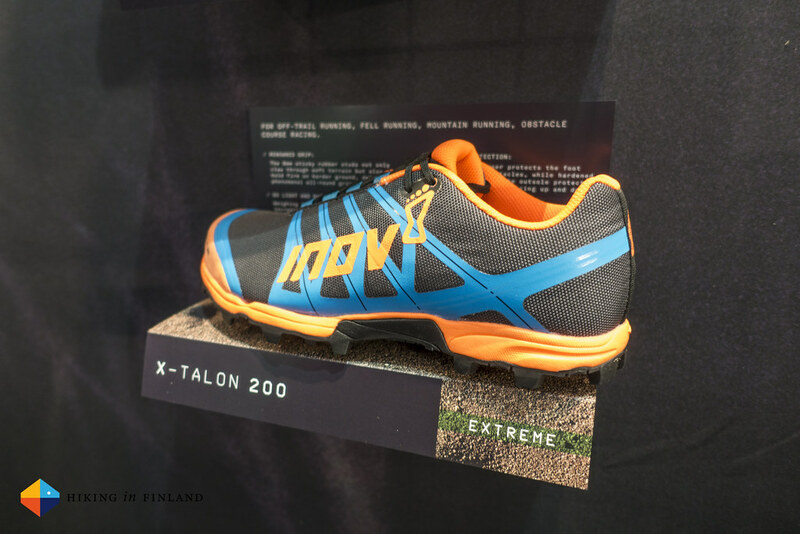 If you prefer more cushioning and a Standard Fit (= Wide Fit) then the X-Talon 200 will be a good choice. 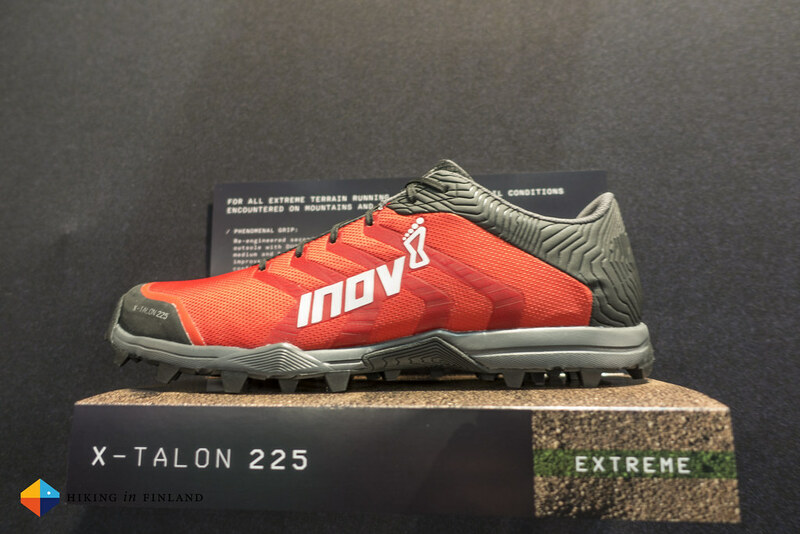 This X-Talon also has less cushioning as the 212 but the Standard fit will make it popular with those who find inov-8’s Performance fit just too constricting. 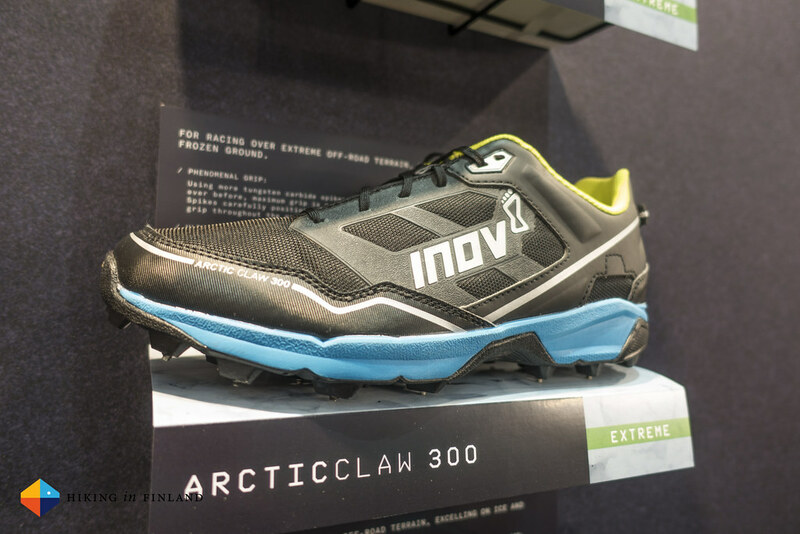 The other popular shoes from inov-8 - like the Roclites - all got a face lift with some nice new graphics, while the TrailTalon 275 underneath is also one of those new kids. 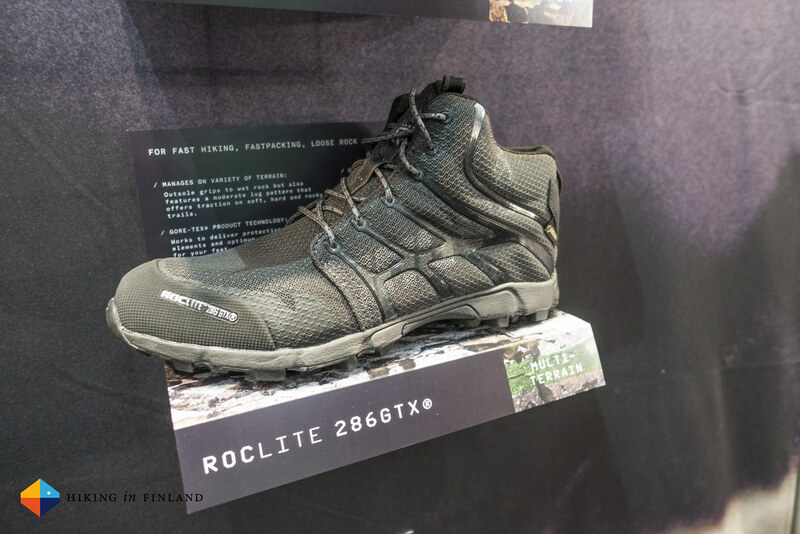 Made for long days on hard trails it sounds like a good shoe for hiking highways like the Kungsleden and PCT. Are you in need of a 1000 cuin jacket? Then get ready to save 500€ for the Zero G jacket from Rab. 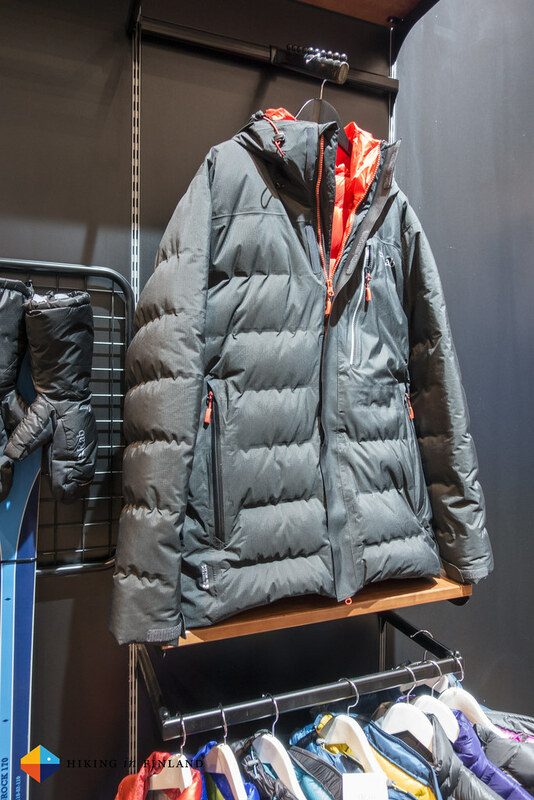 At 310 g in Size L you really get a super-light jacket, which the Pertex Quantum GL 7d fabric and the 1000 cuin RDS certified down will be responsible for. It has a slim fit and alpine features like a helmet-compatible hood and two hand warmer pockets to store small items on the go. If you’re more concerned about your gear being waterproof and warm, then the Resolution Jacket will be for you. 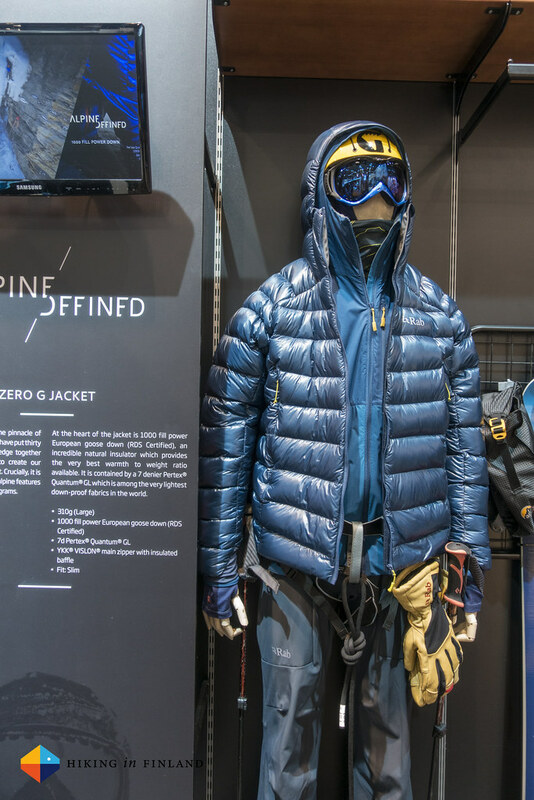 It has welded seams with a bonded box-wall construction for the hydrophobic 800 cuin down inside, and the relaxed fit means it’s a belay jacket you throw over while your mate climbs up the rime on Ben Nevis and a blizzard is pounding the mountain. A helmet compatible hood keeps your head warm and inside there’s large pockets to dump gloves and dry them out a tiny little bit. At 500€ you’ll also want to save for this one before it comes out later in 2016. 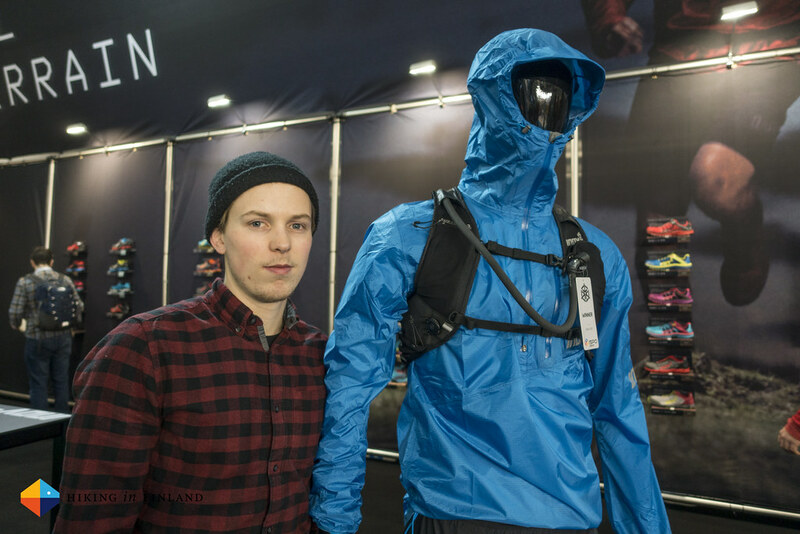 So, was there any new material on the ISPO? Good that you ask, Polartec Alpha Direct is indeed a new version of Polartec Alpha. The marketing spin: “Alpha Direct has removed the inner lining, allowing moisture vapour to move quickly through the fibres and resulting in exceptional breathability and fast dry times when on the move.” As a sweaty guy this sounds good to me, and the purple women’s colour also looks pretty good to me. A slim fit and two zippered hand pockets and stretchy fleece cuffs make it a comfy jacket for those who move fast in the mountains but don’t want to shed/ put on layers every few hundred meters. Say Hello to Merino+, the re-launched MeCo. 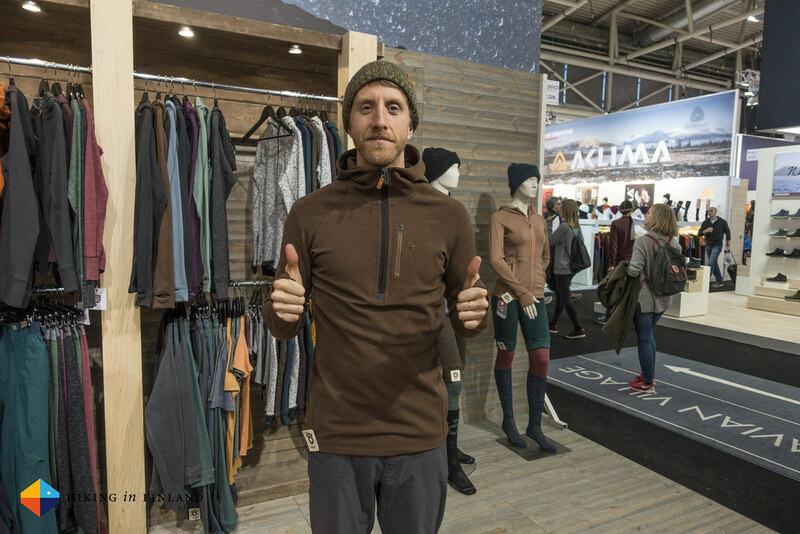 Hoodies are great and the Merino+ 160 Hoody certainly looks the deal. It is 279 g in Size L (so even lighter in my Size S! ), has thumb loops, a deep zipper for dumping excess heat and flat seams which are more comfortable under a backpack and layers. And then there still was the Asylum Jacket. It’s 270€ and a jacket to keep you warm at the crag and blocs. Nice stretchy wrist gaiters keep the hands warm and the great colours go well with Rule 1. Very large internal mesh pockets allow you to keep your climbing shoes toasty inside your jacket while you belay or spot your mate. At 1.016 g it certainly ain’t light, but then that’s seldom a concern when you stand at the crag. Filled with hydrophobic, RDS-certified 650 cuin down. Haglöfs is worth a visit for a growing number of oudoor enthusiasts, from skiers over mountaineers to hikers and urban folks who like to dress in a way that they can go out in a blizzard. The Selja Jackets underneath are from the 19Fourteen range, and are 3-in-1 jackets that are bluesign® approved with a 3L Gore-Tex shell jacket and a liner jacket which has a Pertex® Eco shell fabric and QuadFusion+™ insulation. Both jackets - liner and shell - can be used on its own or then easily clipped together. 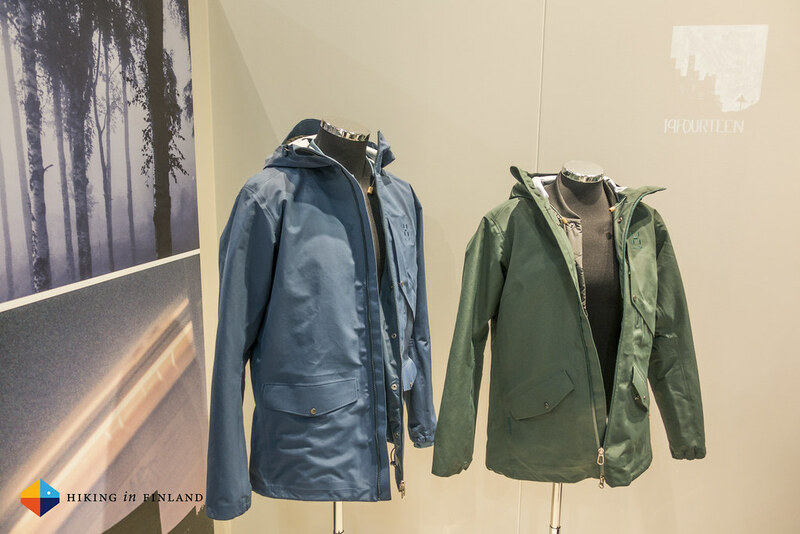 The jackets have some technical features like a storm flap behind the zipper and an adjustable hood. I do like the clean & sophisticated look, though the weight of 1.110 g in Size L is pretty heavy. 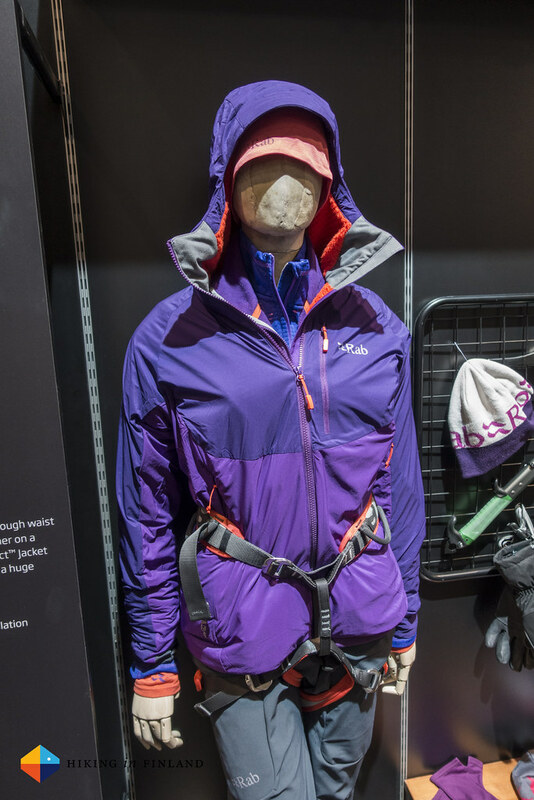 The Couloir Jacket (Men’s in Orange, Women’s in Purple) is a hybrid garment which combines Gore-Tex C-knit with a softshell material. It’s made for freeriding but Haglöfs thinks it is also good to use for trekking and mountaineering. 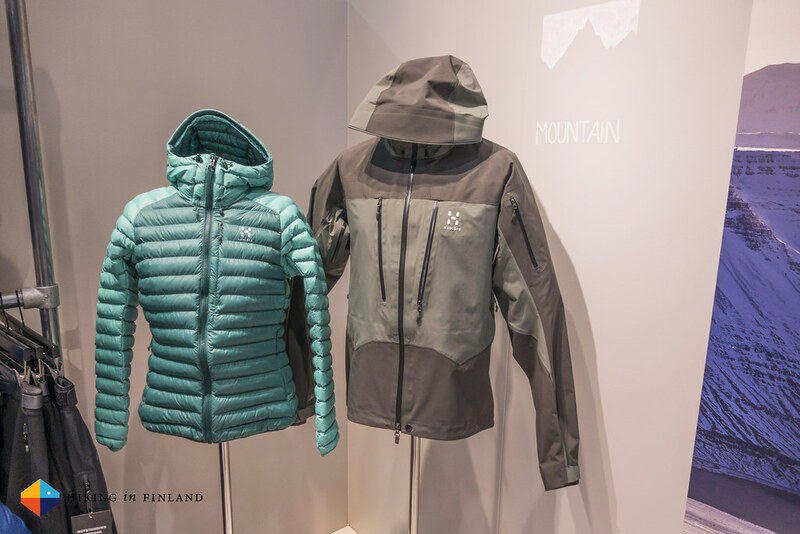 It weighs 605 g in Size L (Women’s 510 g in M), with a snap-away snow skirt, pit zips, articulated sleeves for freedom of movement and an adjustable hood. There’s a matching pants - the Couloir Pant - which weighs 615 g in Size L for the Men’s - and is made from 3L Gore-Tex Softshell material with the standard Schoeller Keprotec patches at the inside of the lower leg. A nice looking combination for the skiers out there. 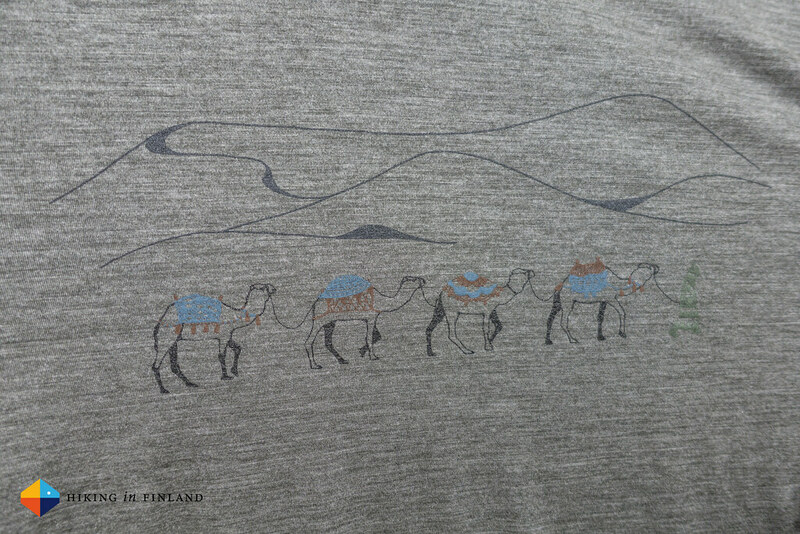 And then there was lightweight warmth and weather protection, too! 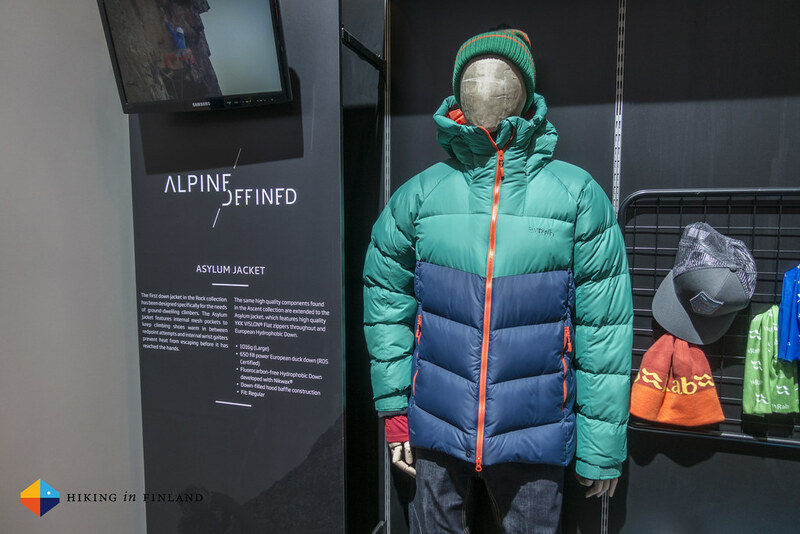 The Spitz Jacket on the right (and the opener photo) is a Gore-Tex Pro Jacket and a got an update for the 2017 season. 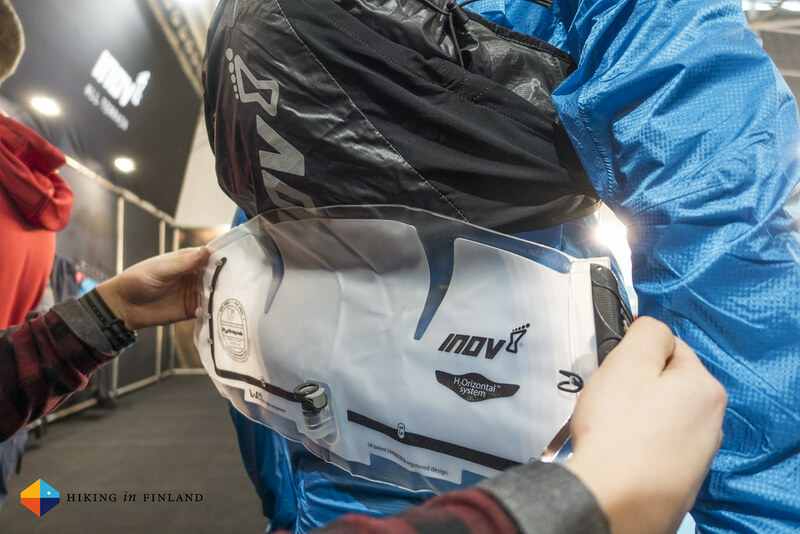 It got reinforcements in the shoulder, sleeve, back and hip sections for durability, Pit zips for venting and large pockets to store gear on the go. 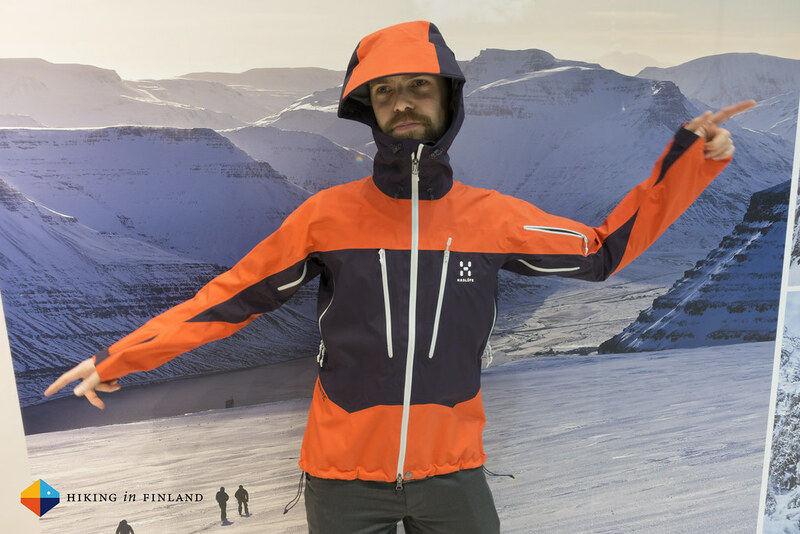 The jacket is shorter now to not interfere with your harness and is 490 g in Size L.
The Essens Mimic Hood is insulated with synthetic QuadFusion™ Mimic which mimics down but is beter in wet conditions. There’s on chest pocket and two zippered hand warmer pockets on the jacket, with the hood having a formable peak and of course it can be adjusted, too. 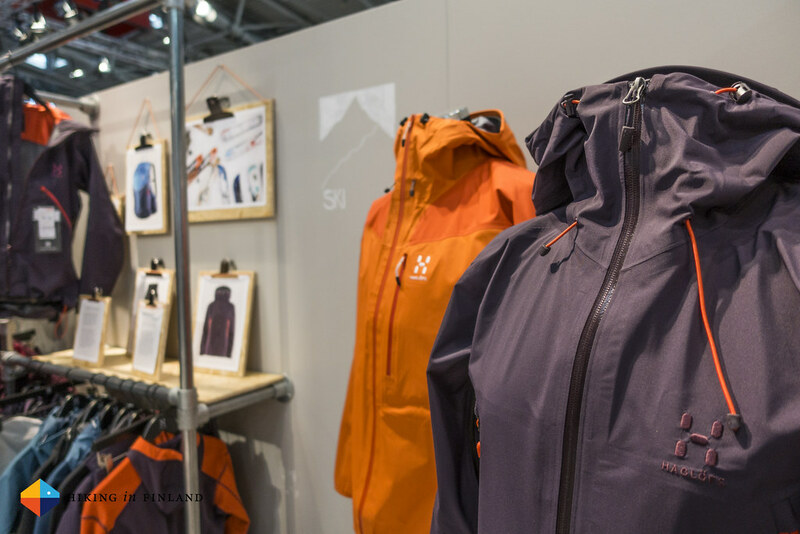 The pictured Women’s model will be 210 g in Size M, while the Men’s version without hood will tip the scales at 260 g in L.
Having a #NoGearYear doesn’t mean there will be no reports or reviews on gear this year - so stay tuned for the next update from the ISPO 2016 later this week! 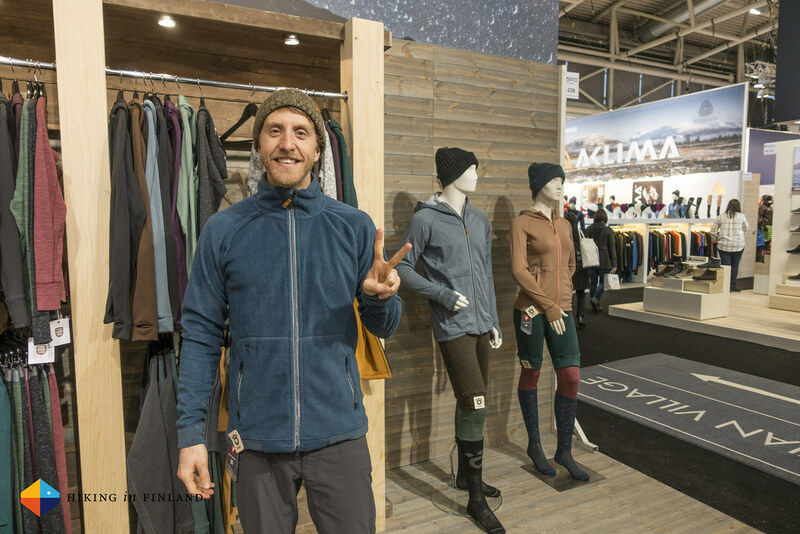 Or check out more photos in the ISPO 2016 Flickr Album. You liked this? Awesome! Subscribe to the Newsletter and follow along on Instagram, Facebook, Twitter and Youtube for On-The-Trail updates! And yes, I do accept a coffee if you’d like to get me one!